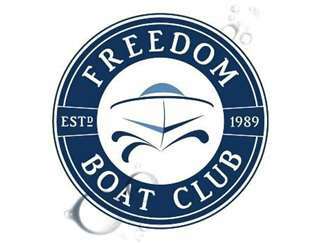 Freedom Boat Club is partnering with Boat US Foundation to offer on-the-water instruction for new and interested boaters. The Intro to Boating and Women Making Waves training courses will be held Saturday, March 23 and Sunday, March 24 in Jacksonville Beach.The instruction, provided by U.S. Coast Guard licensed trainers, will cover shifting and steering, basic docking, open water handling and basic navigation. Participants, who must be 21 years or older, will get hands-on experience aboard one of Freedom Boat Club’s powerboats. The fee for three hours of instruction is $149 and boaters can register at https://boatusfoundation.ticketspice.com/freedom-Jacksonville. The Women Making Waves, women-only sessions begin at 9:30 a.m. on Saturday, March 23 and Sunday, March 24 and will run until 12:30 p.m. Those sessions will be conducted by female U.S. Coast Guard licensed trainers. Combined sessions, for both men and women, are offered from 9 a.m. to 12 p.m. on those same days. The training will be held at the Freedom Boat Club location at Beach Marine in Jacksonville Beach. It is located at 2315 Beach Blvd.